Posted September 5, 2017 by The Rapid & filed under Places to Go. We may be saying goodbye to summer but that doesn’t mean there’s any shortage of fun things to do throughout Grand Rapids! This September, fill your calendar with a trip to the John Ball Zoo, the Downtown Market, Grand Rapids parks and so much more. This outdoor movie event will be hosted in Heartside Park and feature Selena and The Bodyguard. Pre-movie entertainment kicks off at 6 p.m. with DJ SupreDre and Gabriella de la Vega of El Mundo Musical. If you come in a Selena look-a-like costume you will be entered to win a Selena by MAC makeup prize package! Don’t forget to wear warm clothing and bring a blanket or chair. Route 2 can get you there but Heartside Park is located within walking distance from Rapid Central Station. On Saturday, Sept. 9, spend the day celebrating the beauty of Monarch Butterflies at John Ball Zoo! From 11 a.m. – 4 p.m., Monarchs will be released on the hour for their migration south to Mexico for the winter. Learn more about this amazing journey by watching the public release of tagged Monarchs, enjoying crafts and finding out how you can help Monarch Butterflies. You can even release your own Monarch Butterfly for just $6. Purchase yours here. Routes 12, 50 can get you there. Plan your trip. Get out and dance every Tuesday at Rosa Parks Circle or Ah-Nab-Awen Park! Enjoy live music from Hark Up Horns and bring your dancing shoes. If you’ve never been swing dancing before, it’s worth a try! This event rotates park venues, so be sure to check the location here before attending. On Sept. 15 and 16, ride The Rapid to Heartside Park for this free event where you and your entire family can enjoy Mexican entertainment, food, artisan vendors and other activities. The Mexican Festival is celebrating the 47th anniversary and is the oldest ethnic festival in the City of Grand Rapids! Cozy into fall with some comedy. Grand Rapids Civic Theatre is hitting the stage with this comedic play is set in England and is about a woman who puts together a pin-up calendar featuring her middle-aged garden club members. Calendar Girls opens Sept. 15 and runs until Oct. 1. Standard ticket prices range from $16-28. Get yours here. Better yet, grab your girlfriends and make a special trip to the Women’s City Club for the Ladies Night Out special presentation of this play on Sept. 21. Get your tickets here. Getting married soon? Head to DeVos Place on Sept. 22 and 23 to enjoy a wedding planning extravaganza all under one roof. This event includes fashion shows, bridal wear, tuxedos, floral, catering, venues and so much more. Ride Routes 11, 50 and the Silver Line to get there. This is the perfect event for those seeking artisan gifts, local treats and just about any kind of Michigan-made good. If you’re a fan of Earth-friendly goods, this will be a special version of the pop-up market with loads of up-cycled, renewable, organic and eco-friendly goods. Visit the Downtown Market on Sept. 23 from 9 a.m. – 4 p.m. for this wonderful pop-up event. This is the last one of the season! Ride Routes 1, 2, 5 or the Silver Line. Explore all that ArtPrize Nine has to offer by taking the bus! This world famous event lasts from Sept. 20 – Oct. 8. Enjoy 19 days of indulging in art, exploration of your surroundings and all that our wonderful city has to off. 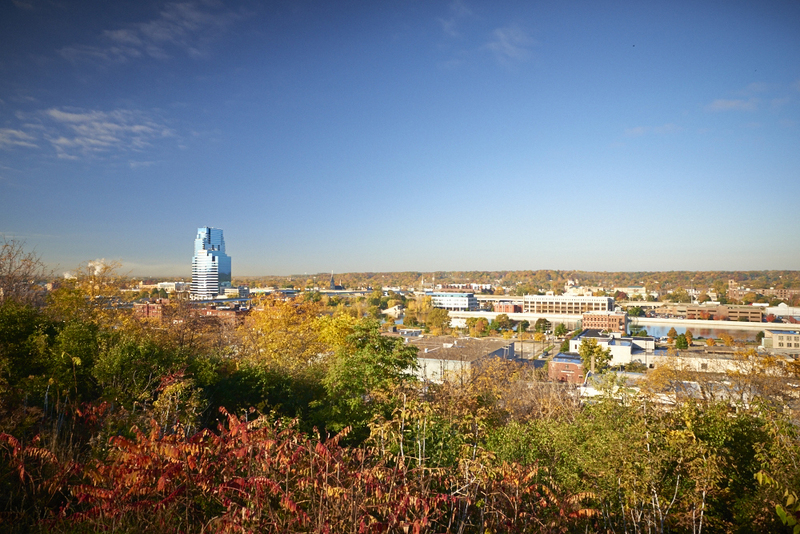 With nearly 200 venues throughout Grand Rapids, there’s no shortage of things to see and do.